It wasn't too long ago when I was at Dynasty Restaurant, Renaissance Kuala Lumpur Hotel to savour their mooncakes. 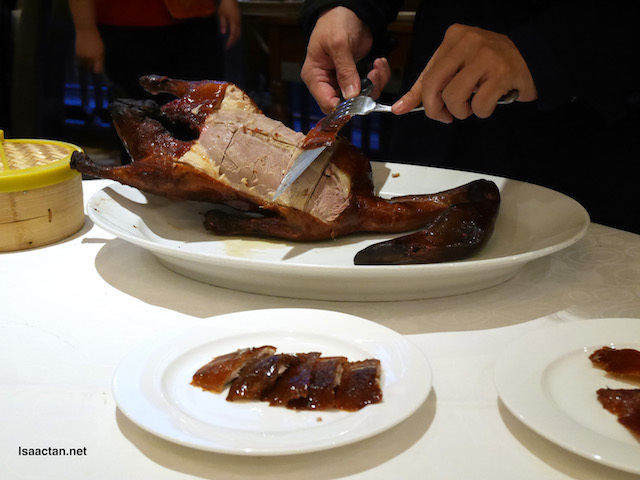 At the same time, we were treated to Executive Sous Chef Kok Chee Kin’s Signature Peking Duck at Dynasty Restaurant. What a treat! The Signature Peking Duck dish is available for dinner from 30 August to 30 September 2017 at RM60.60 nett per bird. Guess what's the normal price? RM168 nett! At the current price, it's a steal, available for dine-in only with an order of any main course or a side dish from the a la carte menu. 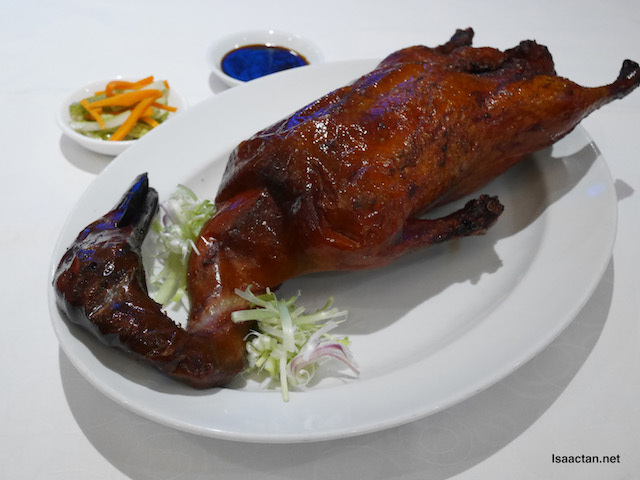 The award-winning Dynasty Restaurant at Renaissance Kuala Lumpur Hotel is renowned for its Signature Peking Duck. Meticulously marinated with a combination of spices and Chinese herbs, they are roasted in a traditional charcoal-fired roasting oven. The roasting process takes about an hour, infusing into the bird with a delicious smoky aroma while keeping its skin scrumptiously crispy and the meat succulent. 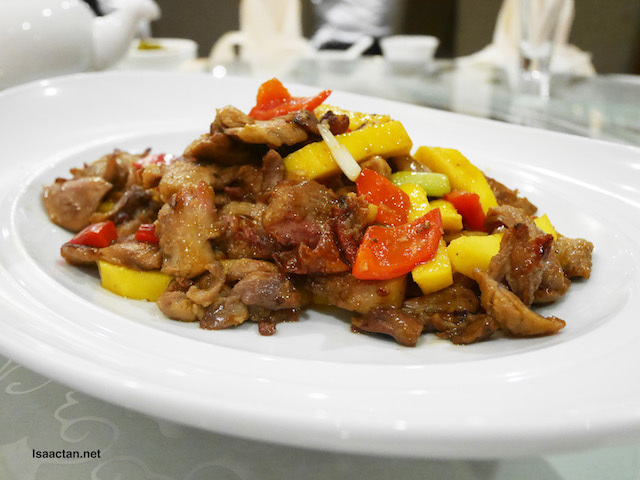 The Peking Duck Meat is subsequently cooked according to the diner’s choice of preparation. 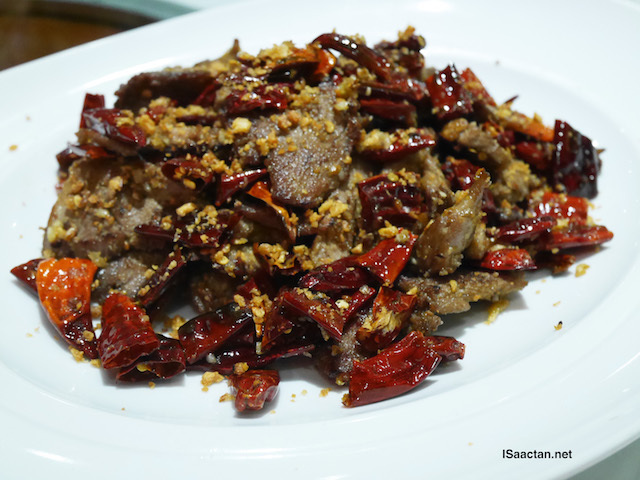 Yummy spicy sze chuan style of preparation! 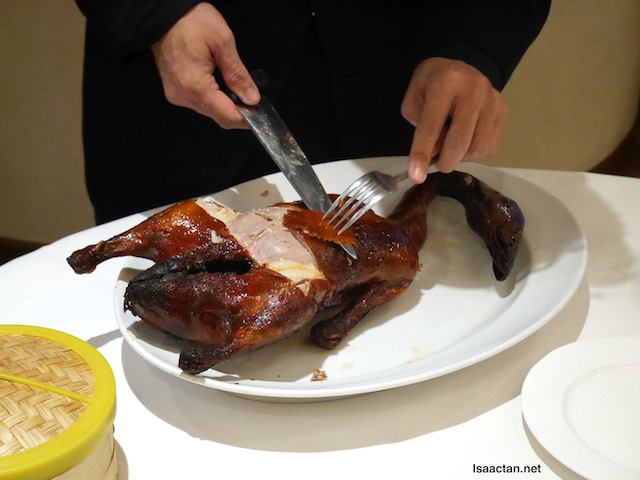 Every Signature Peking Duck ordered is hand-carved at the dining table and the crispy skin is served with homemade pancake, scallion, cucumber, carrot and plum sauce. Meanwhile, the meat is taken back to kitchen and cooked according to the diner’s choice of preparation. We savoured what chef had prepared for us, and it was good, real good. For reservation and to discover more, please call 03 2771 6692 or email rhi.kulrn.fb@renaissancehotels.com. Ooooo...I'm on my knees!!! Gimme, gimme, gimme...please!! !